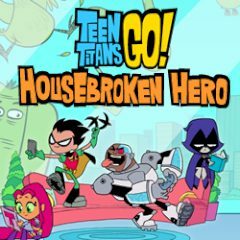 Teen Titans are tired of the pet hair around in their house. So they set up the rule which says: "No more animals in the house!". Beasty boy should find the way to return. The Beasty Boy bothered everyone with the fur while he was in the animal form. That was enough for other members of the Teen Titans so they threw him away. Now you should find the way home completing complicated missions, however you can do everything you want if you turn in the right animal.